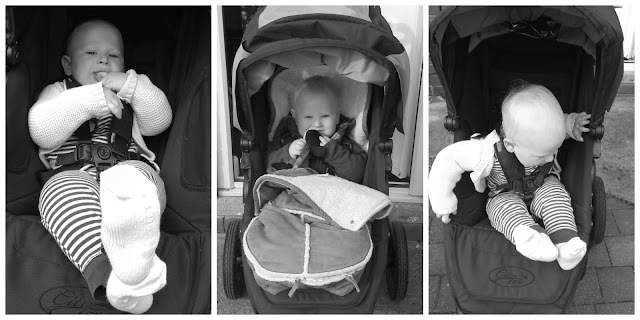 As I mentioned in previous posts I am a self confessed pram addict! I'd like to point out to anyone that's been following that we are not in the income bracket that would afford us to keep buying expensive chairs for our children! I am a saver by nature and I hate wasting money, so anything I buy I tend to think about in detail and find the best deal; If we ever change chairs I generally make sure I sell on the previous one. After a good search around I discovered the Baby Jogger range. The seat is wider and deeper than any pushchairs I've found and the back wheels are far apart enough only just to go through a standard door frame. The hood is very large and unzips even further making it like a cosy cocoon inside! This chair handles like a dream! It is beautifully smooth to push even over grass or stony surfaces and the handlebar is comfortable and angle adjustable. The fabric feels hard wearing but isn't rough and the inside of the black version has gorgeous sand coloured panels under the hood. The little guy loved it pretty much straight away; when we bought it in the summer it was perfect for keeping him in the shade and carrying all the extras when you're out and about. but it also felt very comfortable and has clearly been designed to accommodate for long walks and days out. The seat (which is suitable from birth) can be positioned anywhere from upright to flat due to the one handed strap recline and has a mesh panel at the back which can be covered or left open on hot days, there is also a concealed foot rest which can be lifted up easily. It has a well padded five point safety harness, the hood has a window on top and two mesh panels on the side to allow air to circulate, these all have a magnetic closure- brilliant for not waking the baby! The front wheel can be changed from a straight to swivel position with the easy to use lock on the front of the pram for different terrain and the wheels are foam filled meaning you don't have to worry about a flat tyre. 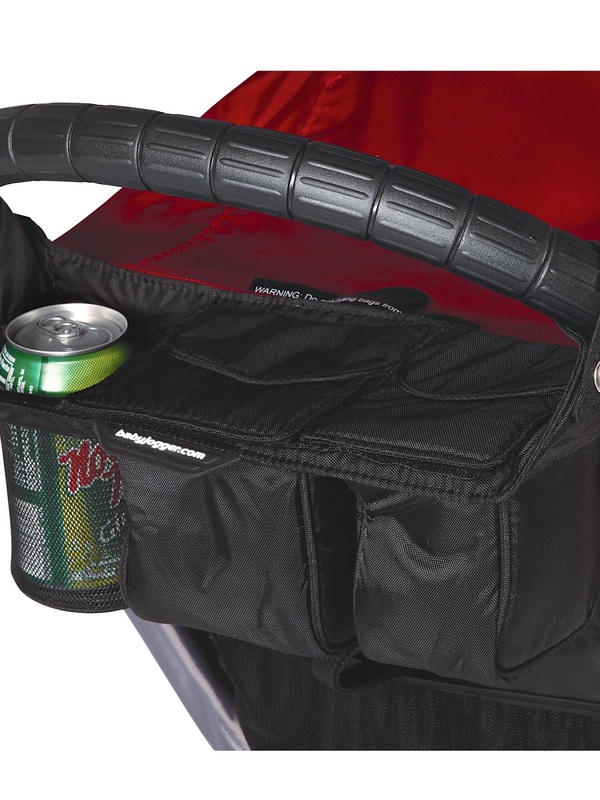 they have an amazing one hand fold design which makes life so much easier! After un-clipping the sides there is a strap in the centre of the seat which, when pulled, folds the chair up completely. As the Elite is the larger of the range it is a bit heavier so although the fold is great it can be a bit bulky to carry if you're shorter or have weak arms! However I absolutely loved this pram as did the little guy and would have no hesitation choosing a Baby Jogger again or recommending. The quality of the chair is superb and for me the design was almost perfect. 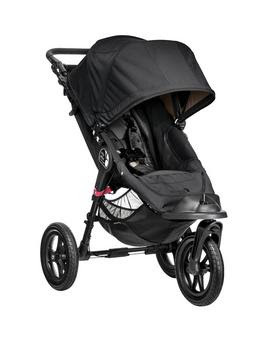 I am looking at Baby Jogger again for baby number two but maybe this time will try the lighter version such as the City Mini or GT Stroller...!